Please note this task has been changed from the one originally scheduled, and we will be undertaking heathland restoration and footpath work. 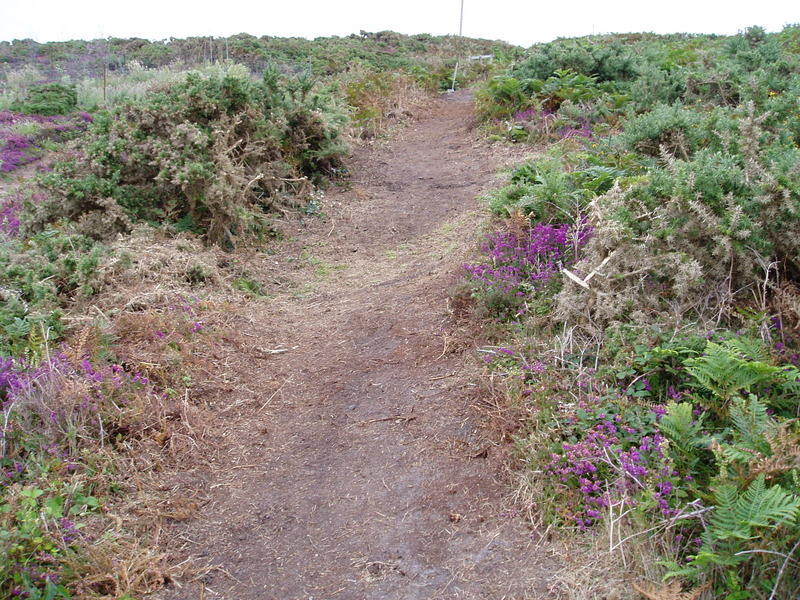 Task For the last task of the season join us on the beautiful headland above La Corbière to restore an area of heathland that has been engulfed by bracken. There will be an amount of gorse management to undertake and we are also going repair the badly eroded footpath. The work area is a five minute walk to the north of the Railway Walk. The site Meet at the car park by the Radio Tower behind (south) of Corbière Phare Bars. Google maps here. Jersey Phone Directory Map 12 inset, square D20. Parking There will be parking available at the meeting place. Tools needed All tools will be provided, but we are short on spades so if you have one it would be helpful to bring it along. Pruning saws and loppers may also be useful to tackle the gorse. Clothing needed Please check the weather for the day and bring suitable clothing, wet weather gear and wellies may be necessary but fingers crossed for some April sun! We can supply a pair of gardening gloves if you don’t have them, but you may have a favourite pair you’d like to bring.